THE world’s only museum devoted to hockey has been officially opened in its new Woking town centre home. 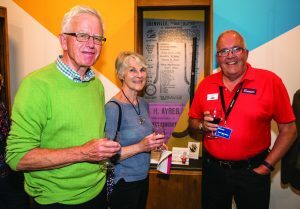 Guests from the hockey world, trustees, volunteers and borough councillors were among those who gathered at 13 High Street to see the unique enterprise relaunched. The museum, which was started in 2011, has moved to a former menswear shop on the corner of Chapel Street from premises in Poole Road, Woking.